With over 37 years of teaching experience in piano, organ, vocal coaching, theory, composition and literature, Thomas C. Thompson has also served in various places of worship. He received two Bachelor of Music degrees (Piano Performance and Theory & Composition) from Hardin-Simmons University in Abilene, Texas, as well as a Master of Music degree (Music Performance & Pedagogy) from the University of Houston. As a performance artist, he concertizes extensively both solo and collaboratively throughout Texas and other venues across the United States, Europe, and Asia. He most recently completed a tour of China, where he judged the National Piano Playing Auditions. His choirs have been featured across the state, as well as in Europe and the United Kingdom. He has been featured on many recordings, both solo and collaborative. 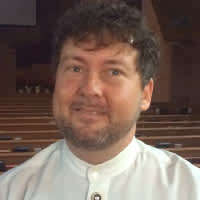 Currently, Tom is the Organist and Director of Music for St. Mark’s Episcopal Church in Richmond, Texas. He also continues to maintain an active private studio, as well as active membership in the Independent Music Teachers' Association of Greater Houston (an affiliate of the Texas Music Teachers' Association and the Music Teachers' National Association). In February of 2008, the Pasadena Philharmonic Society bestowed upon him the honor of "Musician of the Year" at their annual fundraiser gala ball. Tom is also an active composer, arranger, orchestrator, and transcriber of music. He specialized in custom arrangements for churches of all sizes and denominations, as well as wedding, memorial services, and other special events.